Closing Date and Time for receipt of applications : 04.09.2017 upto 17:00 hrs. Closing Date & Time for candidates residing at Assam, Meghalaya, Arunachal Pradesh, Mizoram, Nagaland, Tripura, Sikkim, Jammu & Kashmir, Lahaul & Spiti Districts and Pangi sub-division of Chamba District of Himachal Pradesh, Andaman, Nicobar and Lakshadweep Island and candidates residing abroad : 19.09.2017 up to 17:00 hrs. Application received by post or directly beyond the last date will not be entertained. Certificate after publication of Notification for activeness for 5 years in the recent past (upto the date of application) as per Annexure - III should be attached for the criteria of an active member of a Scout-Guide Organisation, otherwise the application will be rejected. N.B. All legal disputes shall be decided under the jurisdiction of Hon’ble Central Administrative Tribunal, Calcutta. 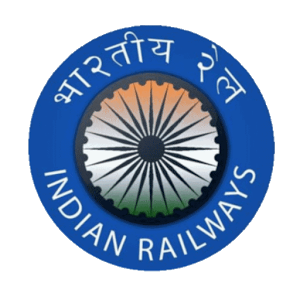 Applications, on plain paper (A4 size) in the given format (Annexure - II) should be neatly typed or hand written either in English or Hindi duly filled (in own handwriting) are invited from the eligible Scouts & Guides candidates for filling up the vacancies against Scouts & Guides Quota of Eastern Railway for the year 2017-18. The candidates having no Scouts & Guides qualifications as required need not apply. (Written examination will be held in same day in separate time schedule for Category - 1 & 2 respectively).